Ah, June. Summer is officially here! This signals the end of the school year for many. Hopefully, this time of the year also means some well-deserved time for rest, relaxation, and having fun somewhere in the mix. But before you finish up in the classroom, here is our collection of engaging themed content to get you through to the last day. June Calendar and Morning Meeting: It’s summertime, and the living is easy—and that is the theme for our final 2017–18 calendar and morning meeting pack! This pack is full of fun and celebration to keep your students engaged right up until the last day of school. "Get More" with Bucket Fillers, Dippers, and Bullies: In this lesson, the latest in our “Get More” series, students work through a variety of activities and watch a few videos on how to be a bucket "filler" and not a bucket "dipper." This is perfect for a summer school lesson or a back-to-school lesson in the fall! For educators, summer might involve continued education workshops, catching up on reading, graduate classes for recertification, or even reworking curriculum. As an educator, I enjoy my summer break as much as anyone—even though it has gotten shorter as I transitioned to the administration side of the spectrum two years ago. After 23 years in education, I still find it hard to completely shut down my “school mode” during the summer. With the time away from the classroom, you have the capacity to focus on other things you haven’t had a chance to think through, or work on things you just don’t have time to do during the school year when you’ve got to be on point every day. We will continue our flagship Quick Learn training sessions throughout the summer months to help you embrace the technology resources you may have at your disposal. 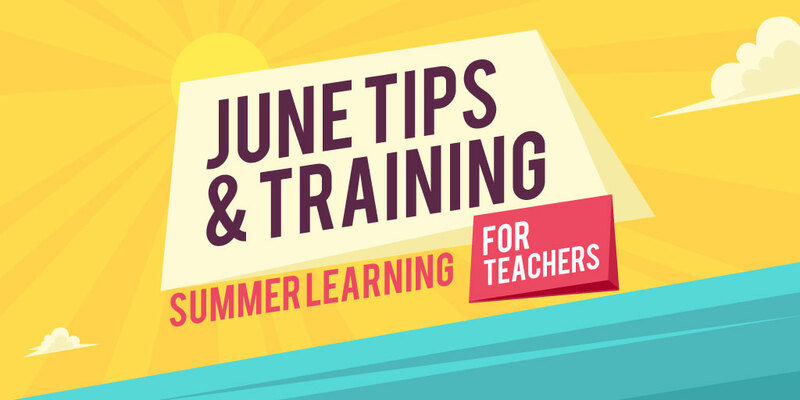 Throughout June and July, you’ll be able to make the journey through each of our teacher-led training sessions to catch up on things you may not have had time to do during the school year. We will make the transition to midday training sessions in late June and carry those through the entire month of July. If you’re just easing into things, we have you covered with a few suggestions for where to start. Learn how to fully use the MimioTeach™ portable interactive whiteboard or Mimio Xi interactive device you may have in your classroom. You’ll learn how to get started and begin integrating this fantastic technology into your lessons in just a matter of minutes. These devices will totally transform how you teach as well as how your students learn. Unleash your creativity and potential of learning in the classroom! Don’t miss our “MimioTeach: Setup and Overview” Quick Learn session, offered on June 11 at 7:30pm ET and June 29 at 11:00am ET. See what is possible with effective lesson creation and implementation during this hands-on, interactive training session. You’ll learn from two expert teachers, who will discuss how to take an existing lesson and transform it using some of the various tools available in the MimioStudio™ classroom software. Everything about this session can be applied to any grade level or curricular area, making it very powerful. Register for our “MimioStudio: Putting Instructional Design to Work” Quick Learn session, offered on June 13 at 6:00pm. Designed especially for those who are new or need a refresher, this interactive session will guide you through a variety of tools and features that can take your instruction and learning to a new level. You’ll learn from teachers using the MimioStudio software in their classrooms each day and get handy tips along the way. The MimioStudio software has so much to offer to make it easier for teachers to do what they do best: TEACH! Learn how to integrate easy-to-use tools into any type of classroom learning environment, whether it’s whole-class, individualized, or collaborative learning. Register for our “A Tour of MimioStudio” Quick Learn session, offered on June 5 at 7:30pm and June 19 at 11:00am EST.